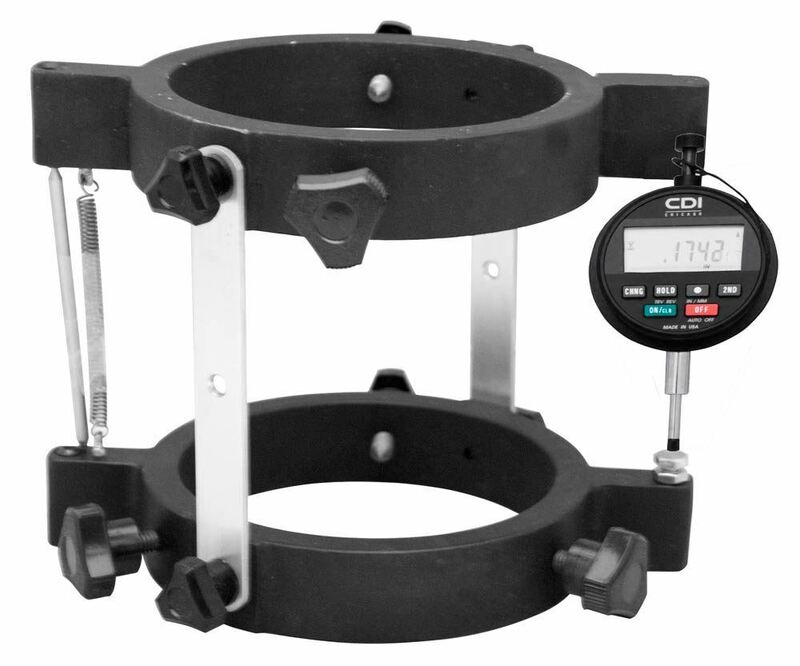 Compressometers for Concrete Cylinder Compression Test - Gilson Co.
HM-130 and HM-203 series Compressometers measure average deformation and strain of concrete cylinders during compression testing to determine modulus of elasticity. 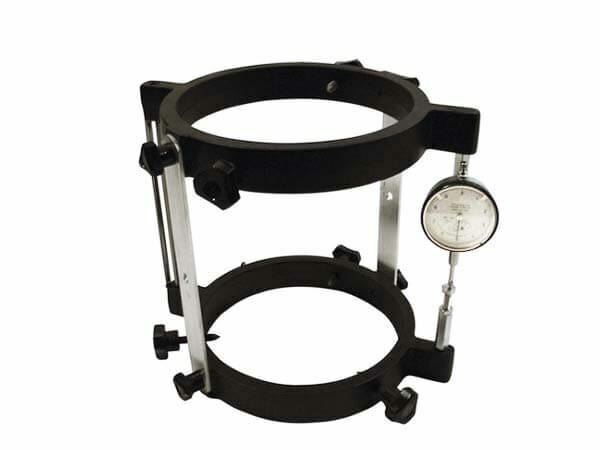 The units consist of two lightweight aluminum alloy yokes which mount around the specimen. The bottom yoke is rigid, while the upper one is hinged to permit pivoting. A fixed rod connects the yokes. Rods and other parts are cadmium-plated steel. A mechanical dial indicator measures specimen deformation. Models with “D” suffix have a digital indicator. Indicators have 0.2in (5.08mm) range and 0.0001in (.0025mm) divisions. Models for 4in (102mm) or 6in (152mm) concrete cylinders. HM-130 Series Compressometer is 6x12in. HM-203 Series Compressometer is 4x8in.